As one of the masterworks of modern architecture, Philip Johnson's Glass House is a key monument in postwar construction. Sited on an estate composed of sixteen buildings, structures, and objects situated on forty acres of land, the Glass House and its associated guest house were both built in 1949 to serve as Johnson's weekend residence. The main house is a simple rectangular prism with walls consisting entirely of floor-to-ceiling plate-glass sheets secured between black-painted steel piers. An off-center cylindrical mass of brick containing a fireplace on one side and the bathroom entrance on the other, protrudes through the top of the flat roof. The house epitomizes the International Style and has long been regarded as one of the premier representatives of Modernism. Building contractors: John C. Smith, Inc., New Canaan, CT.. Louis E. Lee Co., New Canaan, Ct.; E.W. Howell Co.
Design brief: design finalized upon completion of eighth-scale in Summer, 1947. Comments: Because of the historic significance of the Glass House, alterations to the architecture are prohibited. Proposed improvements include the installation of heat and smoke detectors, emergency lights, horn/strobe alarms, and increased handicapped accessibility. Of other elements: The fountain that at one time provided a tall spray of water adjacent to the Pavilion and the Pavilion’s pool jets are no longer operative, and some of the timbers that make up the observation platform and the steps along the pathways have become deteriorated. The various components are in good condition and retain the appearance they had when first constructed. Type of area: Open fields, stone walls, and scattered clusters of trees. from the road along the ridge, the land gently slopes downward westerly toward a bluff, where it then descends steeply to a small pond and wooded area on the western ridge of the property. Other relations: Brick House (1949) (1952 floor plan remodeled) one story 1000 square feet building of wood frame construction, measuring 18 feet by 52 feet built of Flemish Bond Brick with façade broken by single black painted door at west and three circular windows at the east, flat roof with sheet metal cornice: architect, Philip Johnson; builder, John C. Smith, New Canaan, Ct. Pool (1955/6) circular concrete pool with rectangular platform and an element in the geometric composition of the site: architect and builder, E.W. Howell Co., Philip Johnson, owner and architect. Lake Pavilion (1962) 32 feet square pre-cast concrete structure with open colonnades situated on man-made pond. Painting Gallery (1965) 60 feet by 72 feet earth berm construction in the shape of an asymmetrical four-leaf-clover, inspired by classical tomb: architect, Philip Johnson, builder, E.W. Howell Co. Sculpture Gallery (1970) glass roofed gallery with complex, five star-like pattern of intersecting rectangles and triangles, pitched roofs made of semi-mirrored glass panes set in metal channels, five levels, inspired by Greek villages: architects, Philip Johnson and John Burgee, builder, Louis E. Lee Co., New Canaan, Ct.Entrance Gates (1977) concrete and aluminum construction: architect, Philip Johnson, builder Louis E. Lee Co., New Canaan, Ct. Library/Study (1980) 15 feet by 20 feet reinforced concrete box in plan and 10 feet high with intersecting cylinder 12 feet in diameter, along roofline cone changes to 8 feet in height truncated cone tapering to 3 feet in diameter oculus: architects, Philip Johnson and John Burgee, builder, Louis E. Lee Co., New Canaan, Ct.Ghost House (1984) open structure of chain-link fencing that refers to separate work of Frank Gehry and Venturi Scott Brown.Lincoln Kirstein Tower (1985) inspired by the choreography of George Balanchine and a tribute to friend and former classmate, Lincoln Kirstein: architect, Philip Johnson. da Monsta (1995) 30 feet by 40 feet highly irregular shaped plan, corners forming acute angles and walls with curving dimensions, inspired by the architecture of Frank Stella: architect, Philip Johnson. remodeled as a house in 1920’s and again by Johnson in 1996).Art Collection of Philip Johnson includes works by: John Chamberlain, Lynn Davis, Michael Heizer, Donald Judd, Ibram Lassaw, Andrew Lord, Brice Marden, Robert Morris, Bruce Nauman, Robert Rauschenberg, David Stella, Julian Schnabel, George Segal, Cindy Sherman, Frank Stella and Andy Warhol. Play of light and relationship to surrounding landscape gains significance as representative of modernist architecture of the International style, major collection of contemporary art and sculpted landscape, the Glass House represents a survey of architecture and architectural elements which showcase innovations spanning each decade of Philip Johnson’s career. Represents crucial breakthrough in design. Demonstrates an attitude toward a lifestyle emphasizing communion with the natural world in this, it is reflective of the modern, glorifying the Machine Age. With the Glass House, Architecture becomes Art. Canonical status : A masterwork of modern American architecture. Epitomizes the International Style and is a premier representative of Modernism. Johnson acknowledged the influence of Mies van de Rohe upon its design as to form and materials and recognized the Glass House as a variation of van de Rohe’s design for Farnsworth House, Plano, Illinois. 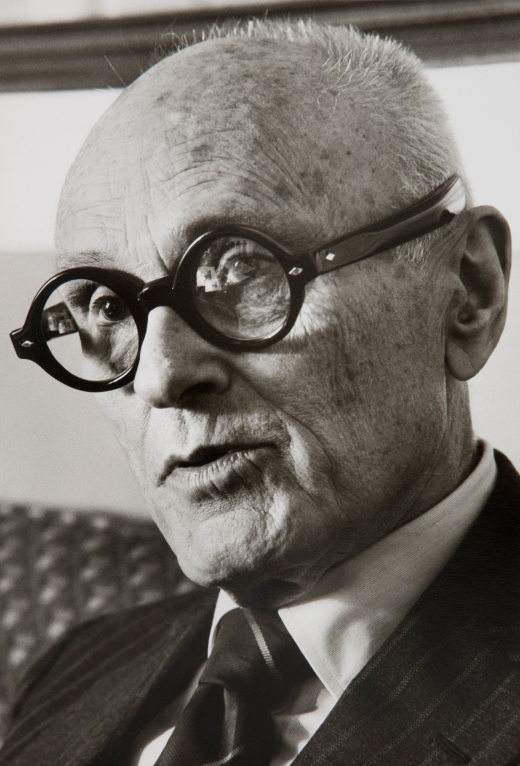 “Philip Johnson Is Dead at 98. Architecture’s Restless Intellect”, Goldberger, Paul., New York Times, January 26, 2005.